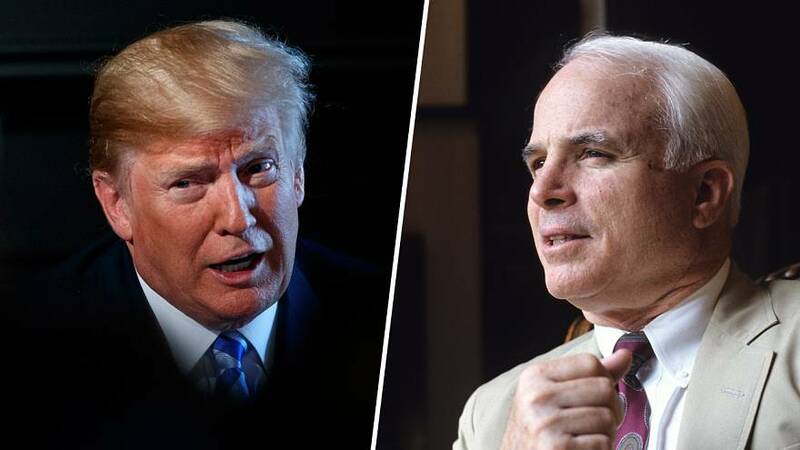 "I was never a fan of John McCain, and I never will be," Trump said at the White House Tuesday, showing that his grudges don't stop at the graveyard's edge. "When it comes into his line of sight, then he cares," said the former official, who requested anonymity to describe the president's behavior. "It's like a reminder, 'Oh, I hate that guy." "Most people don't act out on it," the official said. Meghan McCain, one of the late senator's daughters, described her father as Trump's "kryptonite" in life and in death on ABC's "The View."